Finding time to get your vehicle in to be serviced or repaired can be such a struggle at times. When you are in a hurry or need to keep moving along with your day, the last thing you want to do is to be stuck waiting in the auto repair shop for your vehicle to be finished. Getting a ride from the shop to your work or home could make a huge difference in the productivity of your day. 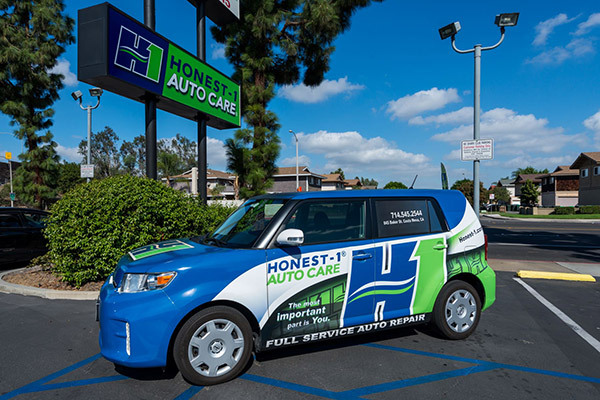 At Honest-1 Auto Care, we understand how inconvenient auto repair service can be at times in the midst of your day to day schedule. This is why we have our trusty vehicle to shuttle you where you need to go when you need to be there, while we work on getting you back on the road safely and as soon as possible. Honest-1 offers a free shuttle service (both drop-off & pick-up) for those customers who need a ride home, work or public transportation. Our complimentary shuttle travels within 5 miles of our location. We provide these services on a scheduled basis in the morning and afternoon. Times vary with the needs of our customers and workflow each day. Please indicate that you will need shuttle service when scheduling your vehicle and we will do our best to accommodate your requests!